We create meaningful opportunities that connect and empower women who positively impact the College, University and the world. Fresh off of Celebrating 30 Years of Columbia College Women, we are a dynamic community of alumnae, women students and faculty. We welcome your participation, enthusiasm and leadership as we advance and support the women of Columbia College! Join Columbia College Women at Offsite NYC the evening of Friday, May 10, for an inspiring conversation with three alumnae who are powering tangible change in communities by advocating for reproductive, social and economic justice. CCW offers a vibrant mentoring program that matches alumnae mentors with current students and young alumnae, creating connections through events and the online mentoring community called the Odyssey Mentoring Program. Something I’m proud of as a Columbia College alumna is …. The mission of Columbia College Women (CCW) is to connect alumnae to the College, to one another and to women at large at Columbia University; provide enriching experiences and benefits that support alumnae throughout their lives, in both personal and professional endeavors; and create an engaged and dynamic community that strengthens the voices and leadership of women at Columbia University. The Columbia College Women Board of Directors has four priorities: programming, outreach, development and mentoring. We invite you to join in one of the following committees, or to simply be an ambassador, attendee and/or supporter in our efforts. The Programming Committee develops and presents programming that will connect alumnae to one another and to students and faculty. This includes intellectual programming, social receptions, career networking and more. The Outreach Committee seeks to grow the Columbia College Women network across the globe to increase participation from all women, including students. Outreach will increase visibility and elevate the voice of women across Columbia, while building sustainable networks and bonds that help CCW and its members thrive. The Development Committee fosters a culture of giving among Columbia College alumnae and students. It identifies opportunities for giving that resonate with women, identifies strategies for motivating alumnae generosity and finds opportunities for alumnae volunteers who believe in building a culture of philanthropy. Columbia College Women organizes a vibrant and successful mentoring program that matches alumnae mentors with female students. The mentoring program matches students and alumnae with similar interests, provides a template as to how the relationship can progress and provide forums for involvement. The committee encourages participation and supports career oriented programming to complement mentoring interactions. Learn about the different ways you can get involved with Columbia College Women. 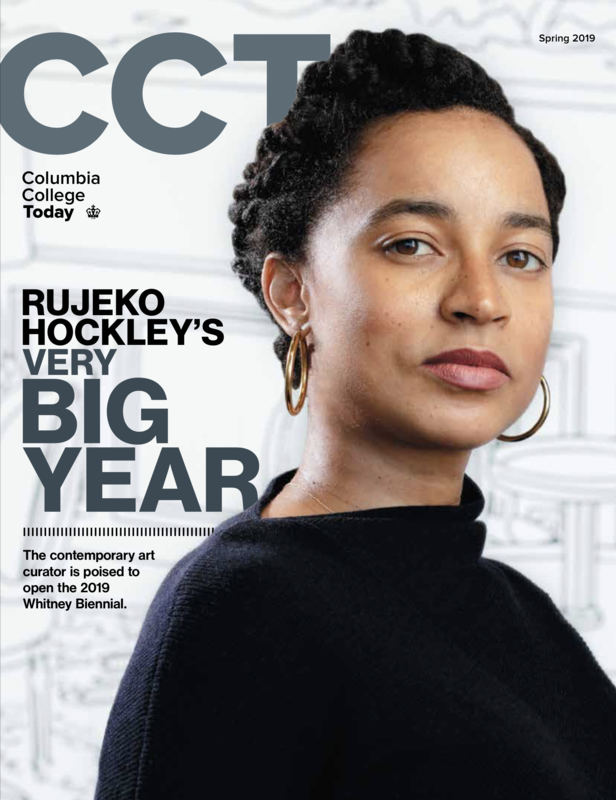 Check out these articles, links and additional resources for Columbia College Women. Catch highlights from the symposium — attended by more than 300 alumnae and students! — along with full recordings of some of our most popular alumnae panels. Thirty years ago, the Class of 1987 broke ground by ending a more than 200-year tradition and becoming the first fully coed class. In 1989, those women, and others who followed, helped establish Columbia College Women.